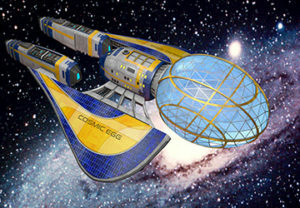 Join 3 friends to explore exciting new worlds as crew of a time and space ship Cosmic Egg. Travel back in time to follow the trail of Stardust from the Big Bang, to the Dinosaurs, to you. 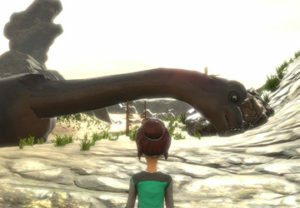 Adventure using your PC or Mac to visit the land of dinosaurs and leave before the asteroid hits. Find the connection between the dinosaurs, stardust, and you. Try the MissionKT Preview Edition today – click here to download (for Windows PCs) ! Visit the world of the dinosaurs to find the trail of Stardust in Mission KT, the first Episode of the Stardust Mystery game. Blaze a trail through a prehistoric world of mountains and volcanoes, with rivers, waterfalls, and caverns. Race among the dinosaurs, mammals, and sea creatures that live there. Chase your Stardust back through time and space. 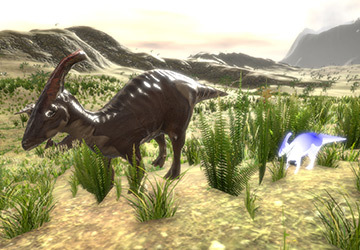 Use futuristic gadgets to find, analyze, time freeze, clone and photograph the animals and discover why some of them became extinct. 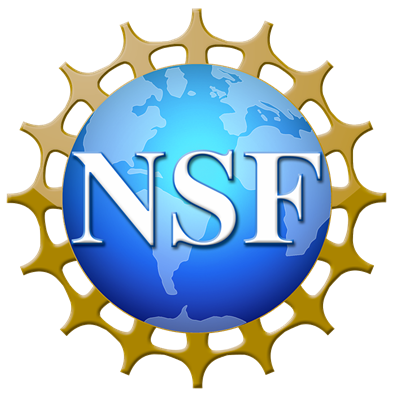 Share your discoveries!